On a field about fifty miles from Boston, Strawberry Hill, on the evening of September 3, 1880, history was made. It is unlikely the department store employees who were tossing around a ball knew that this game would still be talked about 135 years later. As the crowd took their seats, the ball players took their positions; the Sun dipped below the horizon and the Moon rose. And then, the lights came on to illuminate the field. It was said the lights were as bright as “90,000 candles” burning simultaneously. This was the first baseball game played at night under artificial light. Here’s the story of that game and the history of baseball under the lights. While it is commonly said that the the great New Jersey inventor Thomas Edison gave the world its first commercially produced electrical lights, that is false. While Edison did produce the first commercially viable light bulb, there were other companies that were trying to compete in the industry at the same time using various forms of electrical lighting. One of them was Boston’s Northern Electric Light Company, using electric arc lamps and Weston equipment. Englishmen Edward Weston was a master electrician who began working with dynamos (electrical generators that produced direct current power through the use of commutators) in the 1870s. 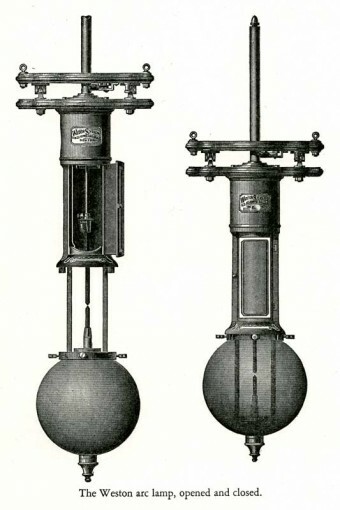 In 1875, Weston patented “rational construction of the dynamo,” that allowed him to “increase its efficiency from 45 percent to more than 90 percent.” When he premiered electric lamps using dynamo power at the Centennial Exposition in Philadelphia in 1876, attention was scarce. But that didn’t deter him and he moved to the US permanently in 1877 to set up his own workshop in Newark, New Jersey, only about twenty miles from Edison’s lab in Menlo Park. Also a master marketer, he began putting up his electric arc lamps around Newark, most prominently on Newark Fire Department’s watchtower right in the center of town. This led to an influx of orders for his lamps, including for the city’s Military Park in 1878 and Boston’s Forest Garden in 1879. Now, it isn’t entirely clear if Weston Electric Light Company collaborated with the Northern Electric Light Company or they were branches of the same company, but either way, the companies excelled at marketing and publicity and this September ball game was a perfect way to show off what Weston equipment could do. The game was between well-known Boston department stores (as was the case back then, most “professional” teams were made up of employees who the company recruited and sometimes paid to win games as bragging rights) owned by Jordan Marsh and R.H. White. Jordan Marsh & Company was regionally famous for its wide variety of wares and blueberry muffins. R.H. White Company was Marsh’s biggest competitor with a giant store downtown. They were to play for a “purse of $50” (about $1,300 today) provided by the electric company. It is not known how many fans exactly came out to the game. One account says about three hundred. Another account, noted with reporters added in, the number got closer to five hundred. Either way, it was pretty clear the fans came out not for the baseball, but for the light spectacle. In terms of the publicity, the game was a hit. But in practice and the quality of the game, not so much. The game was tied 16 to 16 after nine innings, but the two teams agreed to call it, perhaps out of fear that the enveloping darkness would bring with it a line drive off the head. Additionally, it was noted that the players didn’t want to miss the last ferry to Boston, which was around 10 PM. For their efforts, the electric company rewarded the players and officials of the game with a generous supper (presumably back in Boston). 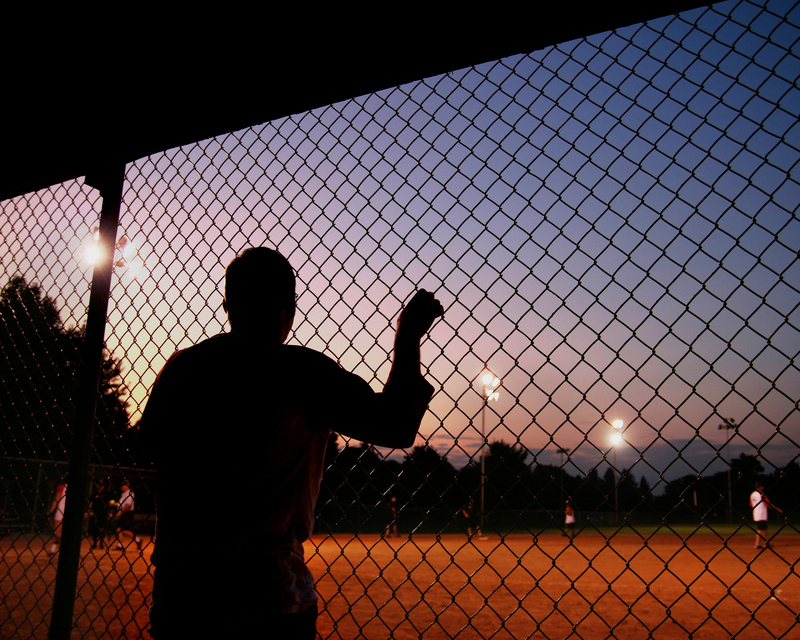 Today, over eighty percent of Major League Baseball games are played at night, under the lights.